Clea's Cave: He IS An Impetuous Man! Is it Just Me, or is he snorgling Martha Raye? It would appear so. It really looks like the art on one of those Ken Brown rubber stamps with the stipple linework. 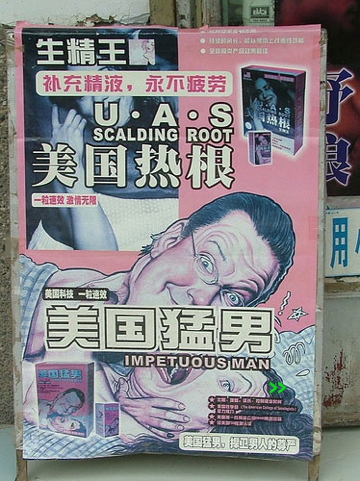 i want the Chinese mashup packaging guy who designed this to do ALL my sexual aid advertising!